Both a regular CleanMyMac license and a yearly subscription can be used on one computer only (unless you have a multi-user license). So if you want to run it on another Mac, you have to either buy one more license at a discount or reset your existing CleanMyMac license. Go to CleanMyMac X → Activation Info (at the top of the screen). Open the License Management system. You’ll see a list of your licenses and subscriptions. Find the appropriate license and click the Reset button of the appropriate license. Done! 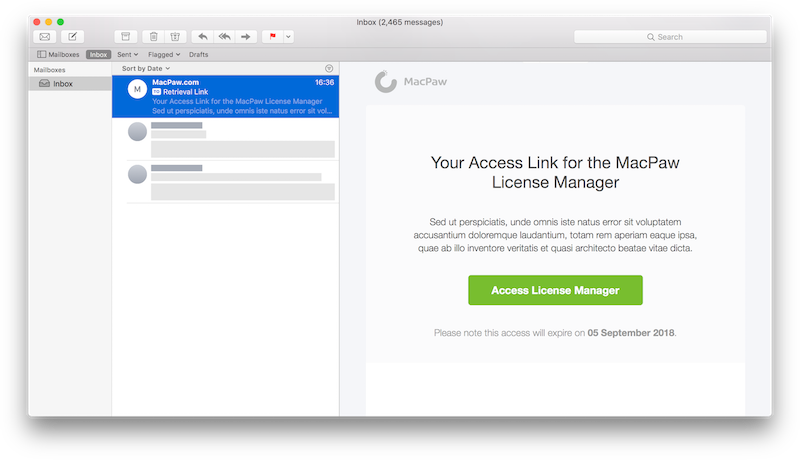 Your license is deactivated, and you can apply it on another Mac. If you have more than one Mac, transferring a license may be an inconvenience. That’s why we offer our loyal users a 30% discount on additional licenses. You can claim it if you’ve already bought any MacPaw product at our store. Note that you can use the discount to buy two, five, or even more additional licenses. Take a chance to care of your friends and family, — share CleanMyMac.